Duplex Stainless Steel Fuel Cylinders. All Ultramagic fuel cylinders are manufactured from the highest quality duplex stainless steel and are fully approved for filling and transportation by road within the EU. 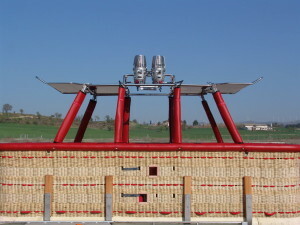 They are available in 3 sizes – 20Kg, 30Kg and 40Kg to suit all basket sizes and balloon flight requirements. Cylinders are supplied as standard with a mechanical fuel gauge. All are fitted with our own design high quality pressure relief valve and our well proven own design quick shut off liquid take off valve as standard for added safety. Liquid take off connections are available in a choice of Rego or Tema, both with fitted dust caps. Vapour regulators may be fitted for use with burners with vapour pilot lights. Fuel-safe vapour bleed extension hoses and connections are also available as an option for use with in-basket refuelling where allowed. 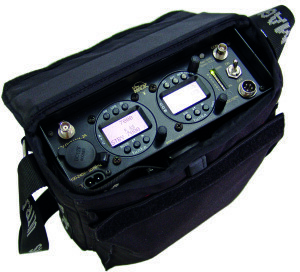 All cylinders are supplied with padded jacket and padded top ring. Ultramagic offers a comprehensive efficient range of fans available as 3hp, 5.5hp, 9hp and 13hp to cover all envelope inflation requirements. 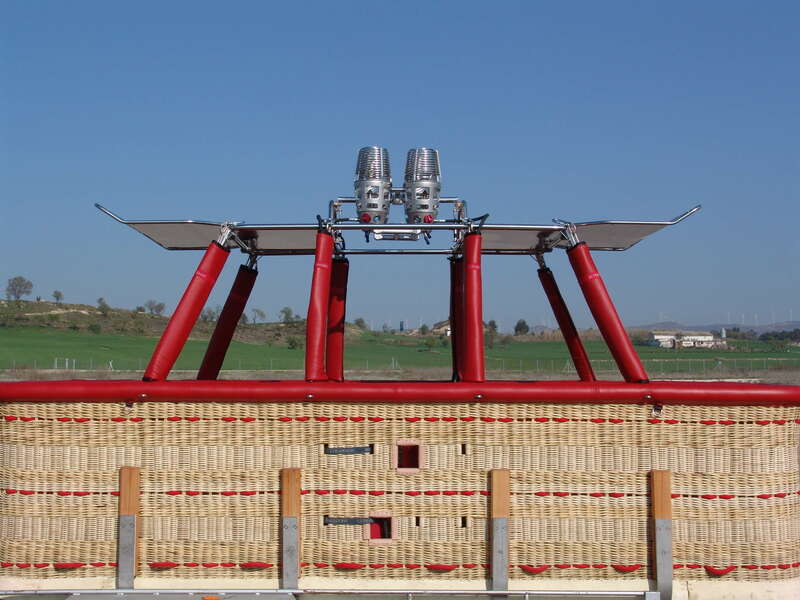 All Ultramagic inflation fans are manufactured in our purpose built factory under the same stringent controls as those applied to our balloon burners and fuel cylinders. The strong stainless steel frames are especially designed to withstand the rigours of many years hard use and have been extensively tested in the harshest of environments for 1000s of hours. 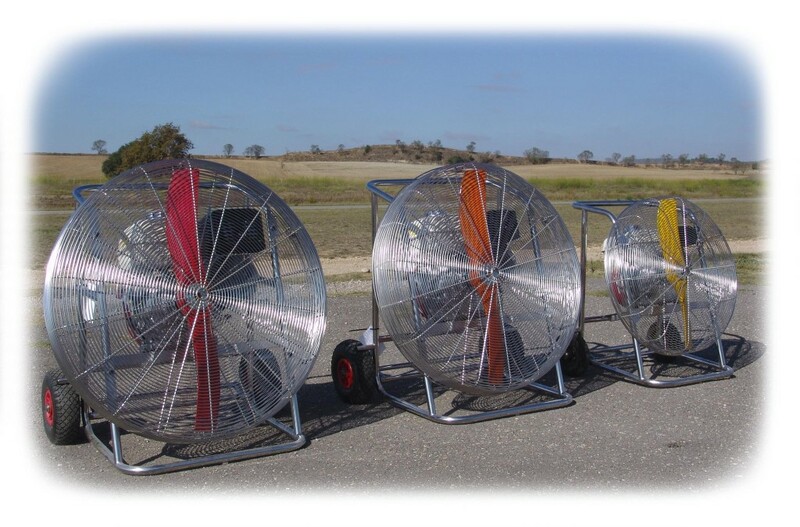 The wheels fitted to 5.5, 9 and 13hp fans lock for safety and security when the fan is in use. Reliable Honda engines are fitted as standard. These are coupled to our own unique design Ultraprop propeller blade fan. The end result is that Ultramagic fans work at optimum performance and can inflate balloons much quicker and safer than comparable inflation fan systems. Each inflation fan is balanced, tuned and fully tested at the Ultramagic factory. The fan blade system is totally enclosed by a rugged mesh guard for added safety. All Ultramagic inflation fans are constructed to the new European regulations, come fitted with a CE label and are supplied with a comprehensive product manual. Fold up heat shield extensions – “elephant ears”. 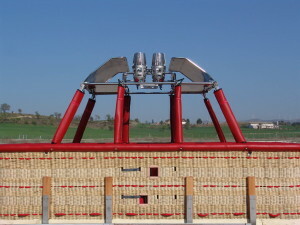 All large Ultramagic burner frames for use with passenger ride balloons come as standard with an aluminium heat shield. 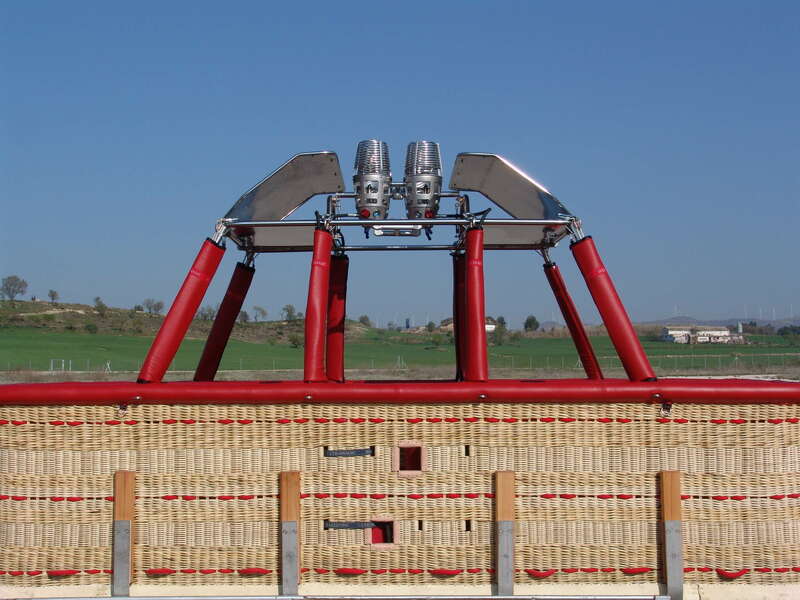 Larger basket burner combinations may also have the option of fold up heat shield extensions or “elephant ears” as they are sometimes called. 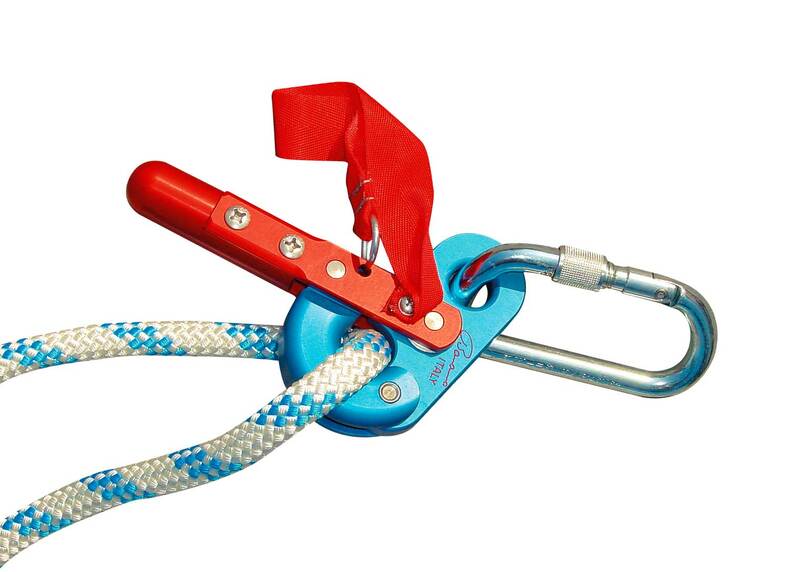 These are easily lowed and locked in place when required to protect passengers on the ends of large baskets. The unique design means that no tools are required. When the extensions are not in use and during the inflation preparation they can be folded safely away. A comprehensive range of accessories and spares are always available to equip and maintain your Ultramagic balloon. 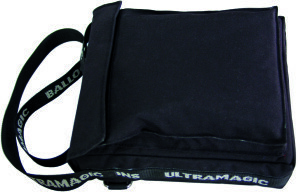 Whether it be special bags, drop lines, tether equipment, fuel manifolds and filters or just burner O rings, all can be found in the comprehensive illustrated Ultramagic Parts Catalogue. covering all requirements. We also offer the Flytec 3040 which also incorporates a sensitive variometer, QNH/QFE set altimeter, ambient thermometer, wireless envelope thermistor plus timer. The less expensive Flytec 4005 is also available which is similar to the 3040 but without envelope thermistor. We are also able to offer advice with the supply of a number of the aircraft radios, GPS systems and transponder systems that are currently available.